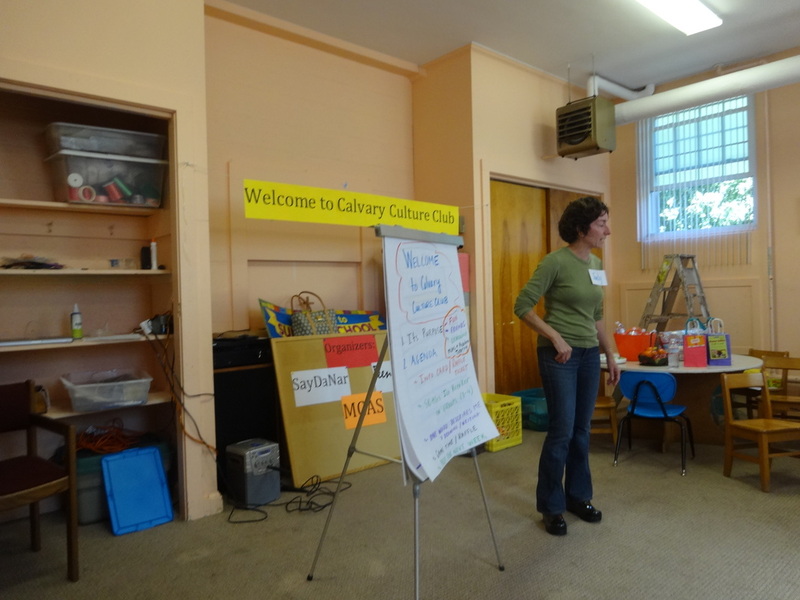 Massachusetts Comprehensive Assessment system: A pilot project - passing the MCAS was launched today at Calvary Baptist Church Lowell, MA, organized by Teensalive porgram and saydanar community development center. 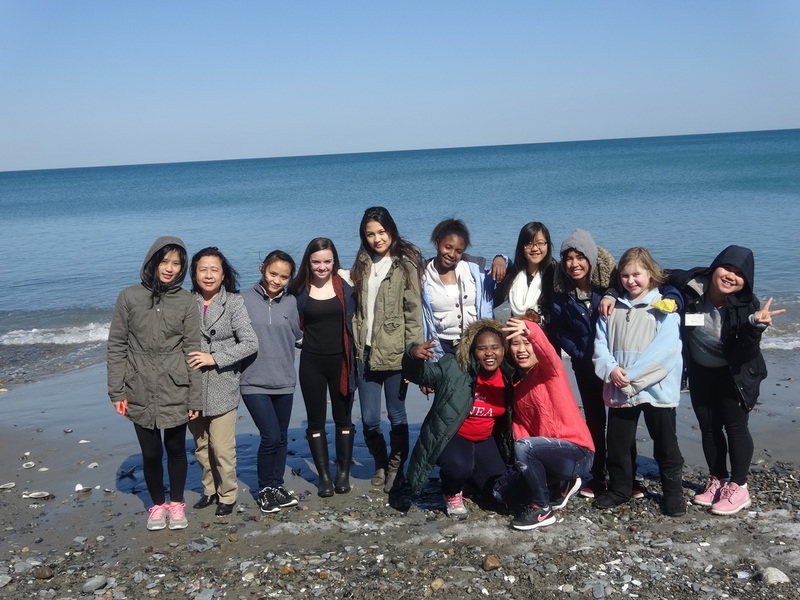 this project aims to promote literacy and help prepare high school students for the successful completion of the requirement to recieve a high school diploma. all middle and high school students are welcome. Great day! Great accomplishment! 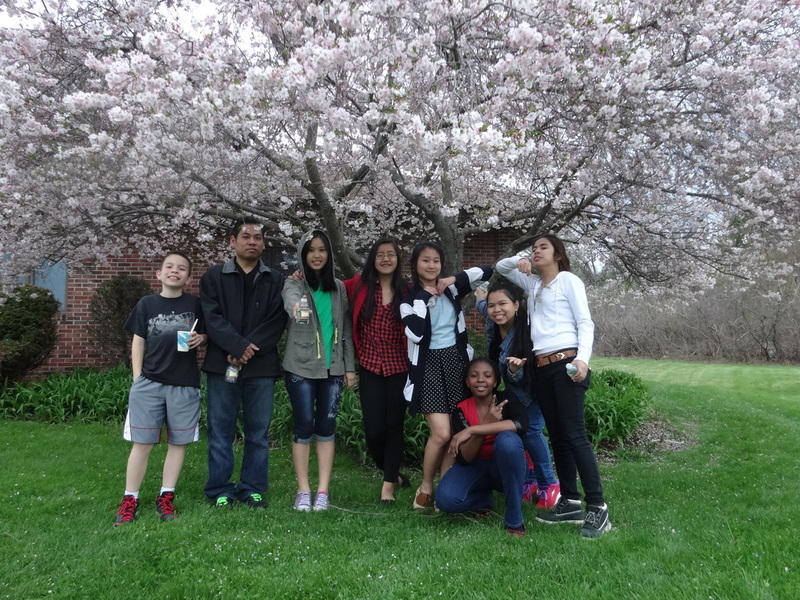 Eleven TeensAlive members and three adults walked 8.8miles today in Westford-Chelmsford, MA, to support Greater Lowell Walk for Hunger. Thanks to West Chelmsford United Methodist Church for serving lunch, we enjoyed it. 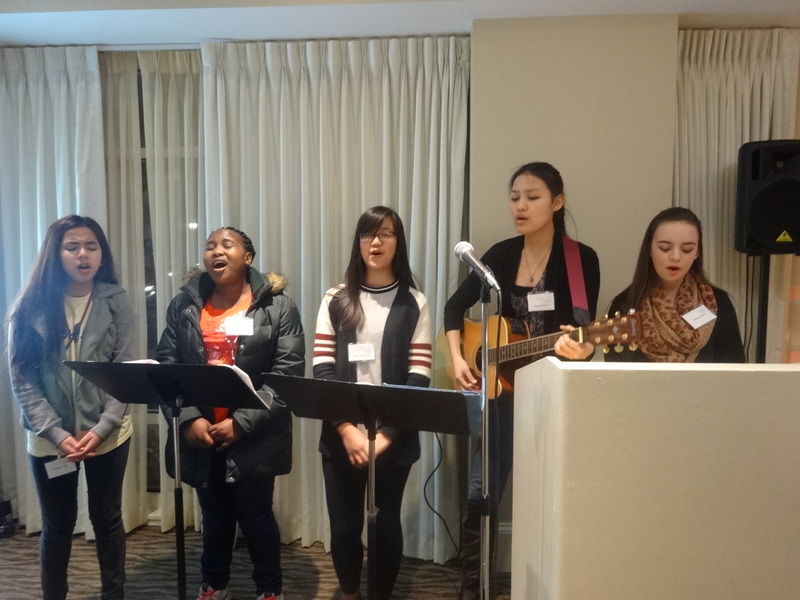 TeensAlive members are leading praise and worship during Combined Thanksgiving worship. Chelmsford St. Baptist Church, Calvary Baptist Church and First United Baptist Church at Calvary Baptist Church. Please support our teens by purchasing one or more 2015 wall calendars. Proceeds from the sale will support the project “Life in all its fullness” to be held in 2015. The suggested amount for the calendar is $10. Please act now to support our teens for a peaceful future generation. Your help is greatly appreciated. 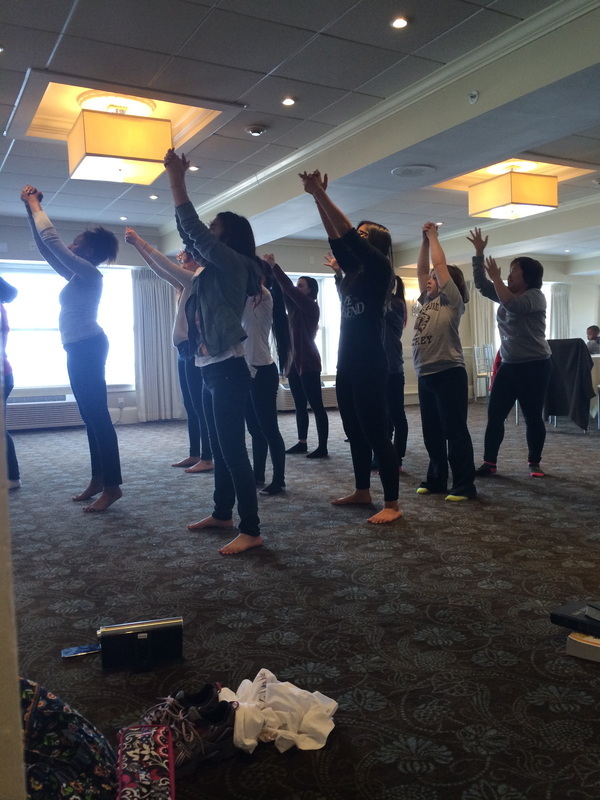 TeensAlive members will be volunteering at the …Concert at the Tremont Temple Boston, organized by the MBMM. Massachusetts Baptist Multicultural Ministries presents, Sharing A New Song, an international choral group singing music from across the globe, will perform a benefit concert on Friday, October 24, 2014, 7:30 PM at Tremont Temple Baptist Church, Converse Hall, 88 Tremont St., Boston, MA 02108. Music can be as fundamental to a place as a certain food or type of architecture. As cultures developed, so too did the melodies and rhythms that help to define them. Sharing a New Song, an internationally traveled choral group sings music genres that can be heard around the globe. As we celebrate United Nations Day, it is appropriate for everyone to recognize distinctive cultures and music that each one brings and enjoy this great concert. Proceeds from the benefit concert will support Christmas gifts for refugees from Afghanistan, Bhutan, Burma, Iraq, Somalia, etc. These Refugees face an uphill battle in almost every respect. In conjunction with many services MBMM provide to the refugee communities, our goal this year is to reach out to 500 refugee families with a Christmas gift of needed items. Please come and support this worthy cause of welcoming refugees in our community. Advanced tickets may be purchased through https://sharinganewsong.eventbrite.com for $12. Tickets at the door are $15.00. Validated parking will be available at One Beacon Street (turn left inside the garage). Tremont Temple Baptist Church is across from the MBTA stop at Park Street Station. Celebrating United Nations Day, come dressed in your traditional attire. This event is sponsored by Massachusetts Baptist Multicultural Ministries (MBMM). 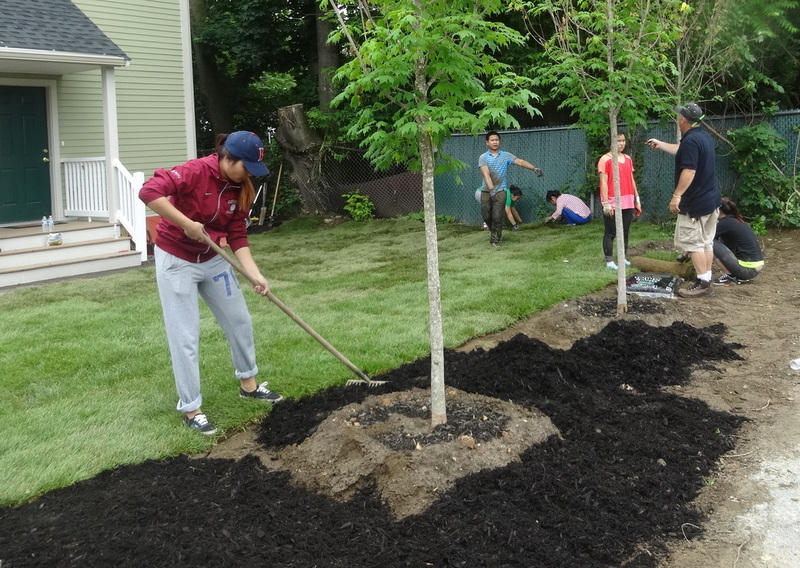 For further information, contact MBMM at 781-457-8058; mbmmin@gmail.com; mbmm.org or 1580 Massachusetts Ave., Lexington, MA 02420. There were 15 teens and three adults in our #TeensAlive meeting this evening. Our conversation was from 1 Corinthians 13:4-7, about relationship based on the biblical principal of love. I assigned three small discussion groups and they shared their personal experience about relationship. As I listened their group discussion reports and their personal experience, I was so encouraged to hear their experience about relationship. I wish we all adults heard what our teens are going through. Thanks to WHITE CROSS, stuffed animals, for your generous giving. God bless you all. 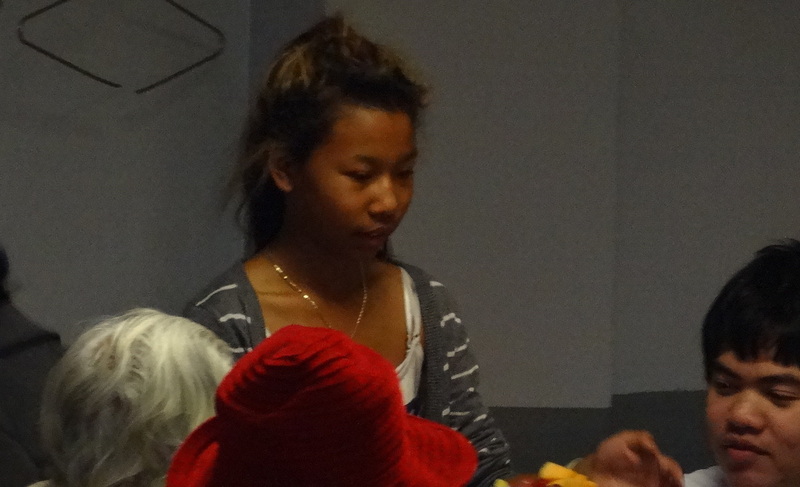 We also had some games, plus enjoyed food and good friendship. 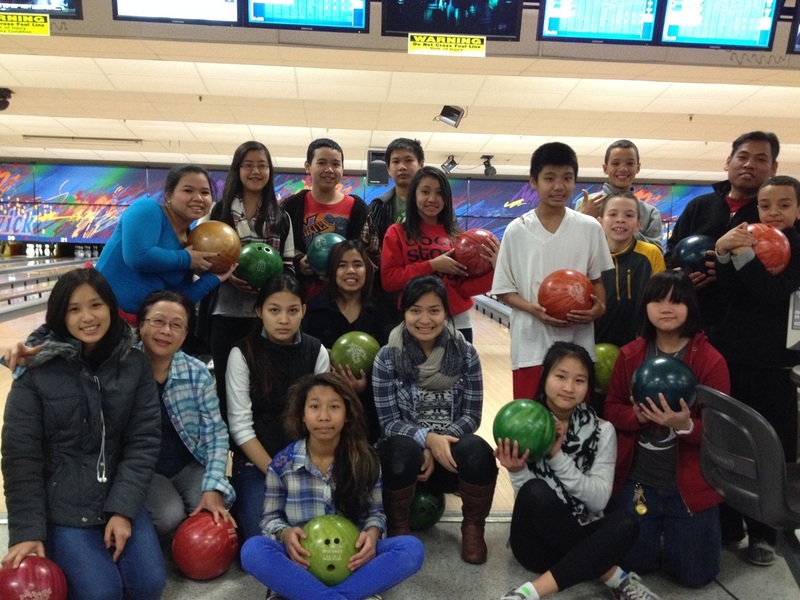 We missed lots of our teens, hope we will see you in our next meeting. 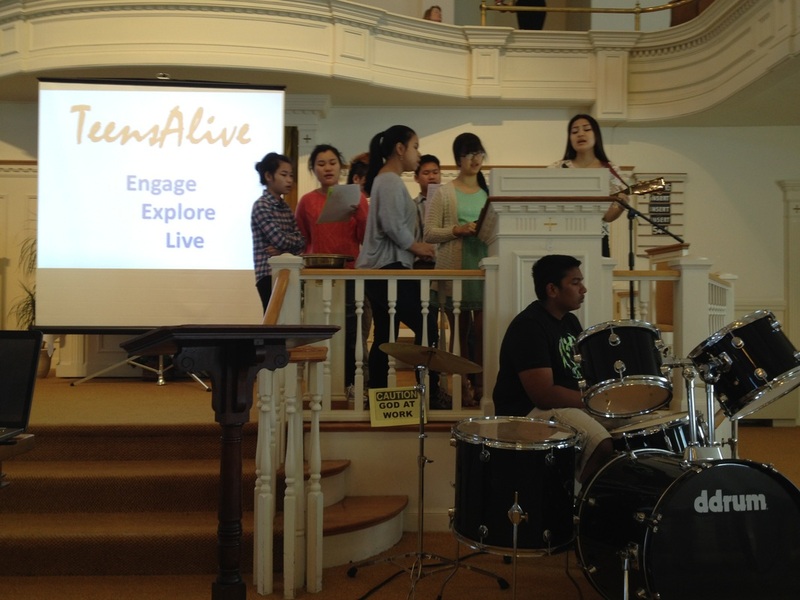 July 26, 2014 TeensAlive members are leading praise and worship songs during Rev. Dr. Hazel A Roper's 50th years of Ordination. Dear Hazel Congratulations from TeensAlive. 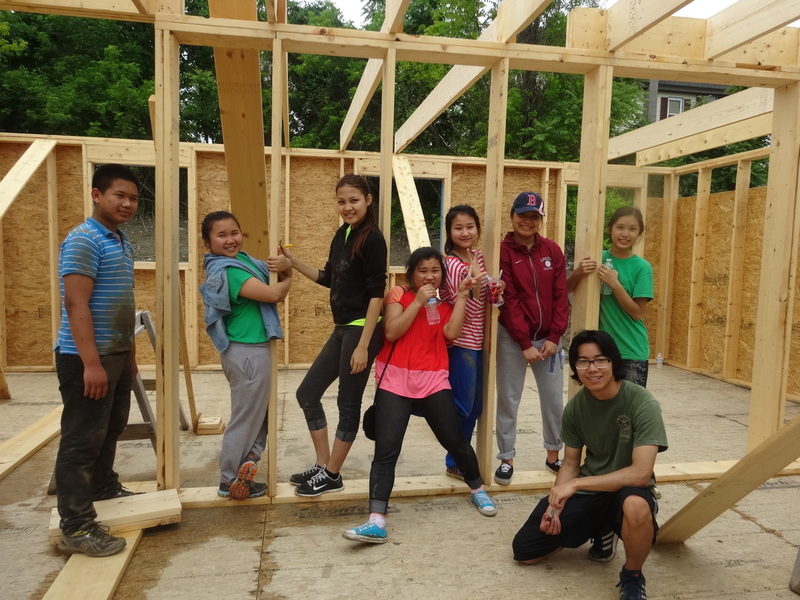 June 14, 2014 TeensAlive members volunteering for Habitat for Humanity at Lowell, MA. construction lot clean up and landscaping. 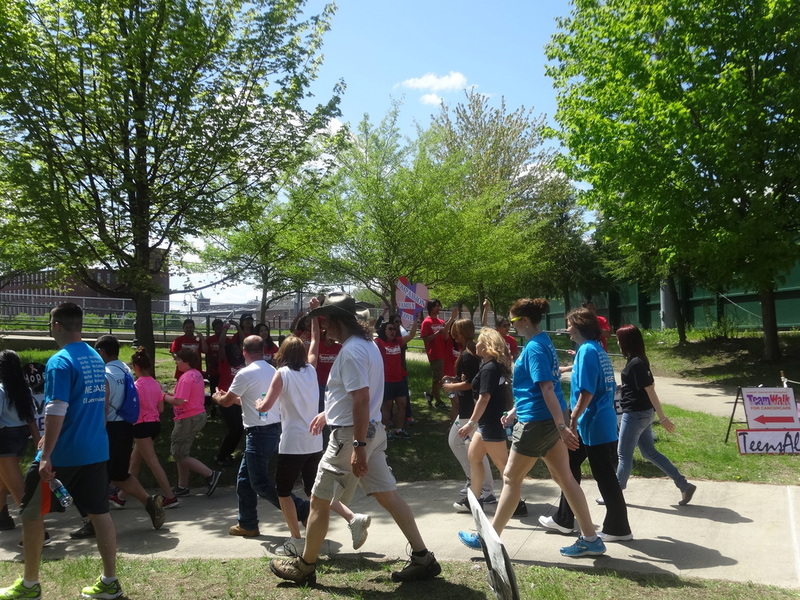 TeensAlive members volunteer at Lowell General Hospital TeamWalk cancerCare today. There were 13 teens and two adults. We felt we have offered something to people who battle with cancer and people who need support. 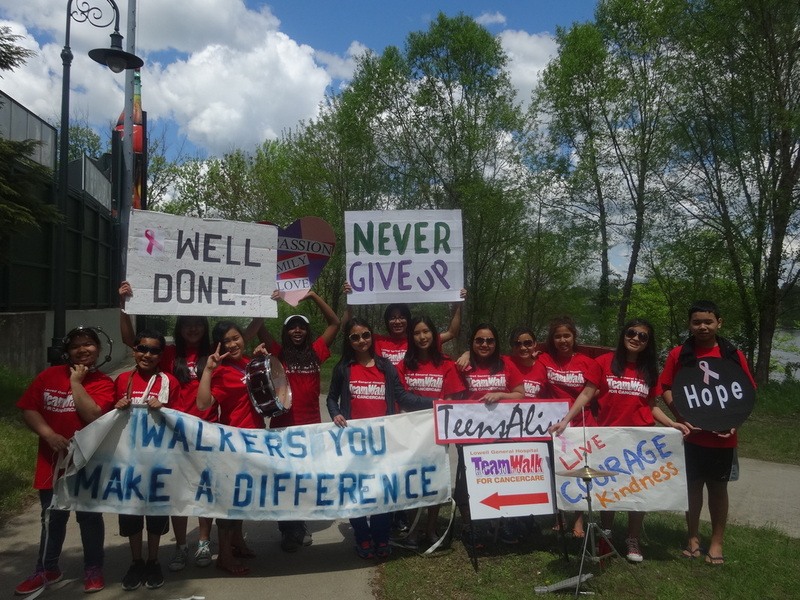 Our teens were very energetic-cheering walkers almost five hours; they were cheerful, thoughtful, musical, and above all caring. Great job teens. 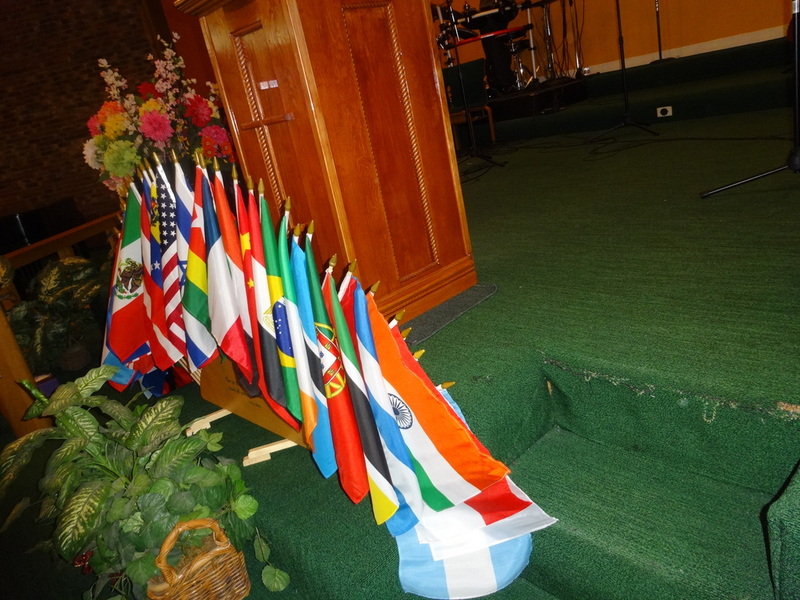 International Worship celebration at Riverside Church, Methuen, MA. Thank you for inviting us. We really enjoyed music and overall worship service. Food was so delicious. Thank you and God bless your ministry. 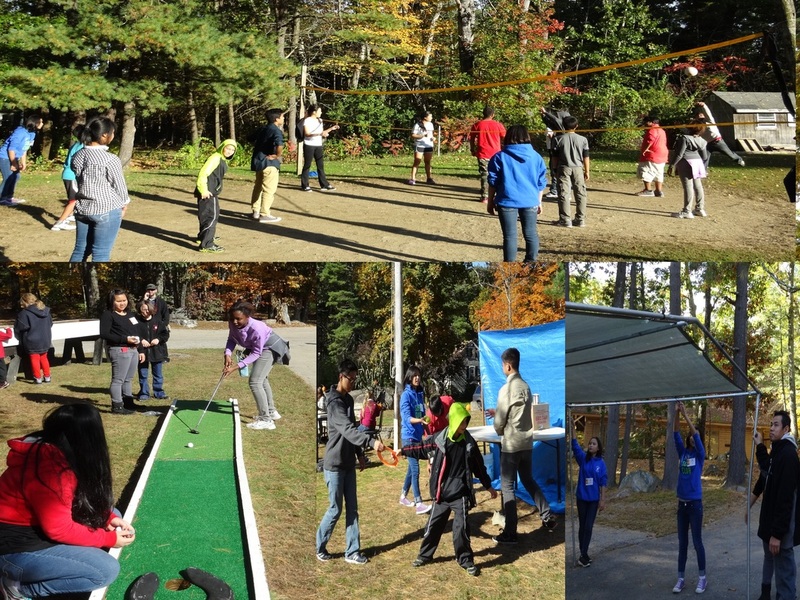 TeensAlive members participation at Grotonwood Day - supervise games, perform music and help in setup and cleanup. 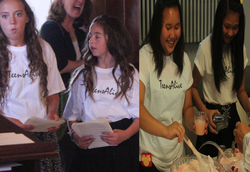 TeensAlive members, ministry of service during Atula Jamir’s ordination service on June 30, 2013 at Calvary Baptist Church. 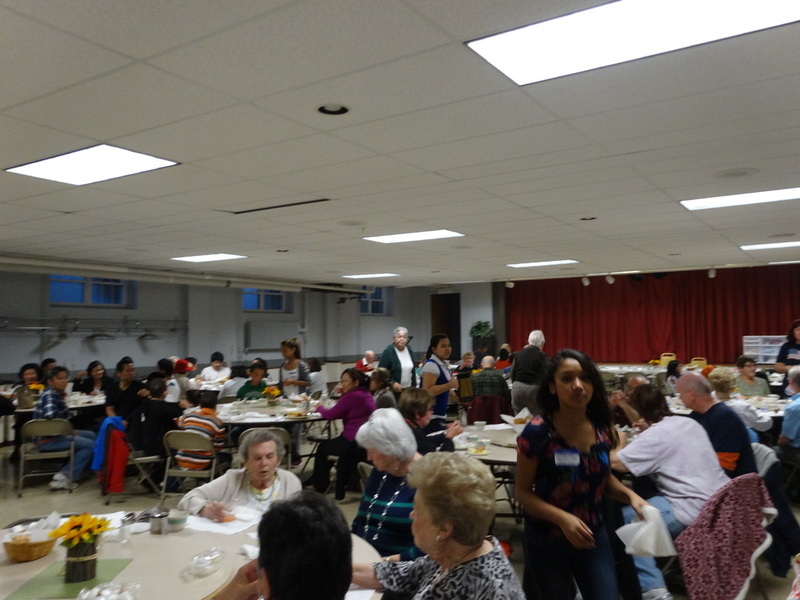 The service and the banquet successfully concluded through TeensAlive members' support. 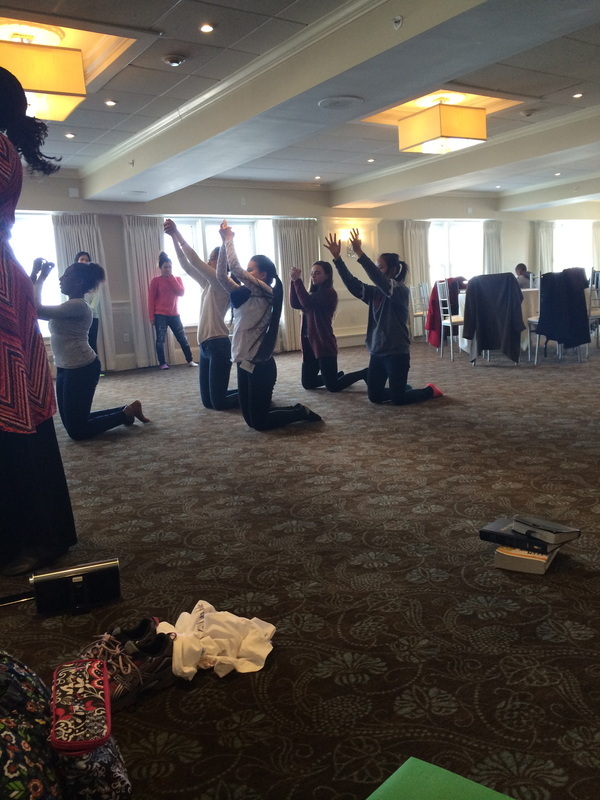 Intercultural Conference, Massachusetts Baptist Multicultural Ministry June 27 to 30. 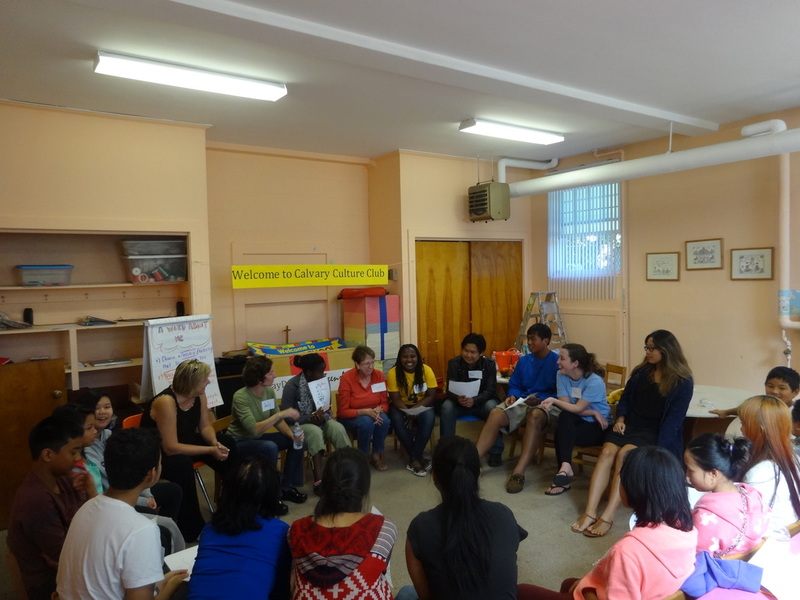 There were altogether 9 teens and two adult TeensAlive volunteers besides volunteers youth from Waltham, Bedford and Auburndale during intercultural Conference and Multi-Cultural Festival organized by Massachusetts Baptist Multicultural Ministry June 27 to 30. Work! work! work! Great job. Your energy, time and good hearts with patience helped conference successful. 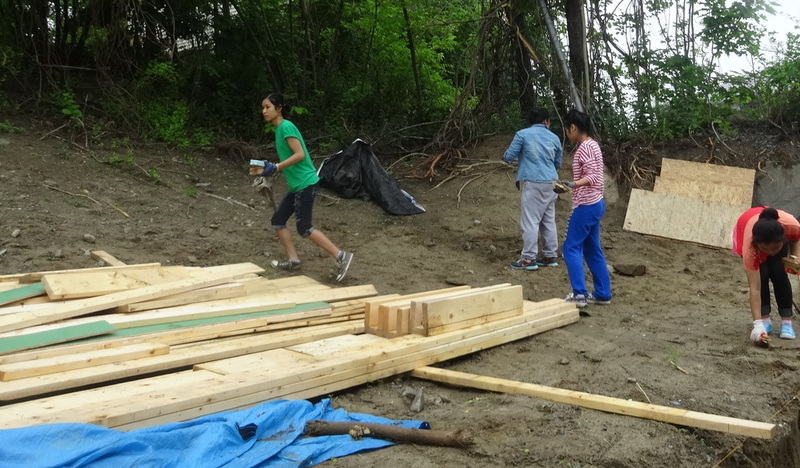 Altogether 15 teens and three adults participated at the Grotonwood Service Day. 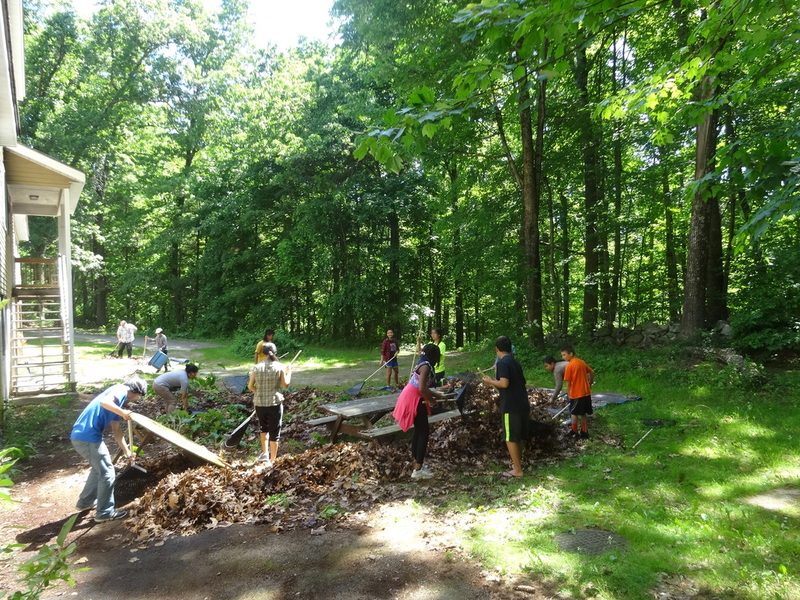 We are so happy to Bill Krueger and John Mulloy for the opportunity to be part of Grotonwood community service. Thank you for the ride given to us, delicious breakfast and lunch. 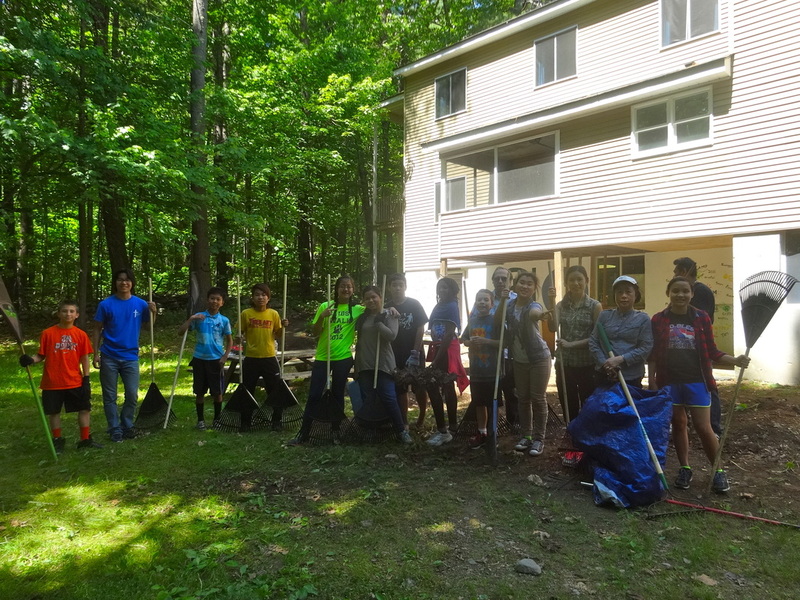 All the teens and adults worked very hard, and enjoyed raking leaves. We concluded our work with a volley ball match at the gym. Our referee was John Mulloy. Again, high appreciation goes to all who worked wholeheartedly. 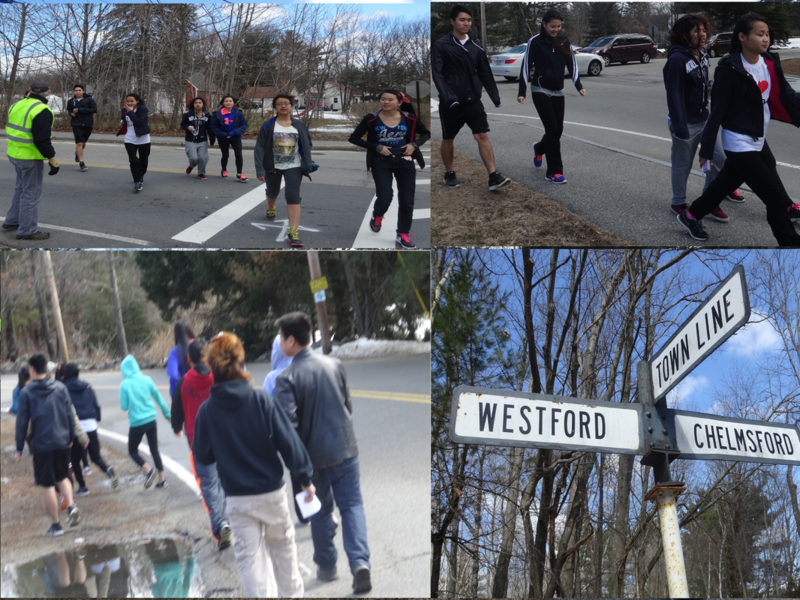 Walk for Hunger at Westford, MA was a success. 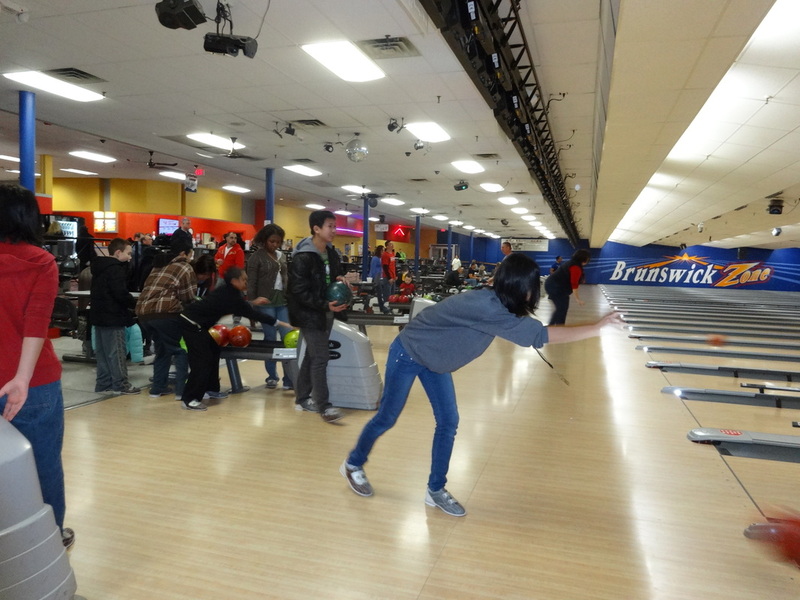 Ten teens and two adults participated. Most of them finished the full 13 miles. They were energized along the way with healthy breakfast, view of scenic beauty, conversation and hearts for a good cause. It was the first time experience for all of them. They had fun! Physically tired but they were in very good shape and so contented, cheerful and felt a sense of great accomplishment. Congratulations! Great job!